After hearing the request of the Securities and Exchange Board of India; the Supreme Court has asked SAT and Allahabad HC to halt all proceedings on the pleas filed by Sahara firms. The Supreme Court, after hearing the request filed by Securities and Exchange Board of India, halted Allahabad High Court and the Securities Appellate Tribunal from hearing all the pleas filed by SHIC, SIREC and Subrata Roy. 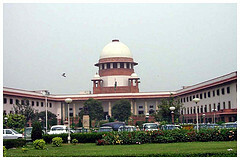 Supreme Court has halted all proceedings on pleas filed by Sahara firms. The SEBI’s plea was heard by the SC bench comprising Justice JS Khehar and justice KS Radhakrishnan. After hearing the market regulator’s plea, the bench ordered that all cases against the firms will be transferred to the apex court. Once in February when SEBI attached the properties of both Sahara firms and its chief Roy, the firms and Roy had approached SAT. The firms asked SAT to hear their plea. Against this appeal, SEBI moved to the Supreme Court. It asked the apex court to hear all the cases against the Sahara firms. In this way it demanded that all cases against the firms must be transferred to the SC. Supreme Court say no to the proceedings on Sahara’s pleas. While the SAT was about to hear the pleas of Sahara, the new order of the Supreme Court came yesterday, preventing it from hearing their pleas. As per an SC order, released on August 31 last year, Sahara firms were to repay over Rs.24000 Cr to around three crore investors. However the firms were to deposit the amount with SEBI, which in turn would distribute the amount to the investors. 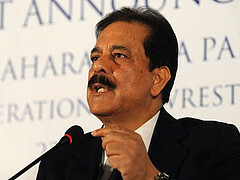 After a few while, Sahara claimed that they have already repaid the amount. SEBI refuted this. Further it attached their properties, stating that the firms had failed to repay the amount and to comply with the SC order. While senior Advocate Arvind Dattar appeared for SEBI, Senior advocate Ram Jethmalani and advocate Keshav Mohan represented Sahara group. This entry was posted in Real Estate News and tagged Allahabad High Court, Sahara Firms, SAT, SEBI, Securities and Exchange Board of India, Securities Appellate Tribunal, SHIC, SIREC, Subrata Roy, Subrata Roy Sahara, Supreme Court by designer. Bookmark the permalink.